From a private mansion built in 1889, Pen-y-bryn has been transformed into a magnificent boutique hotel combining the atmosphere of the past with the luxury of the present day. 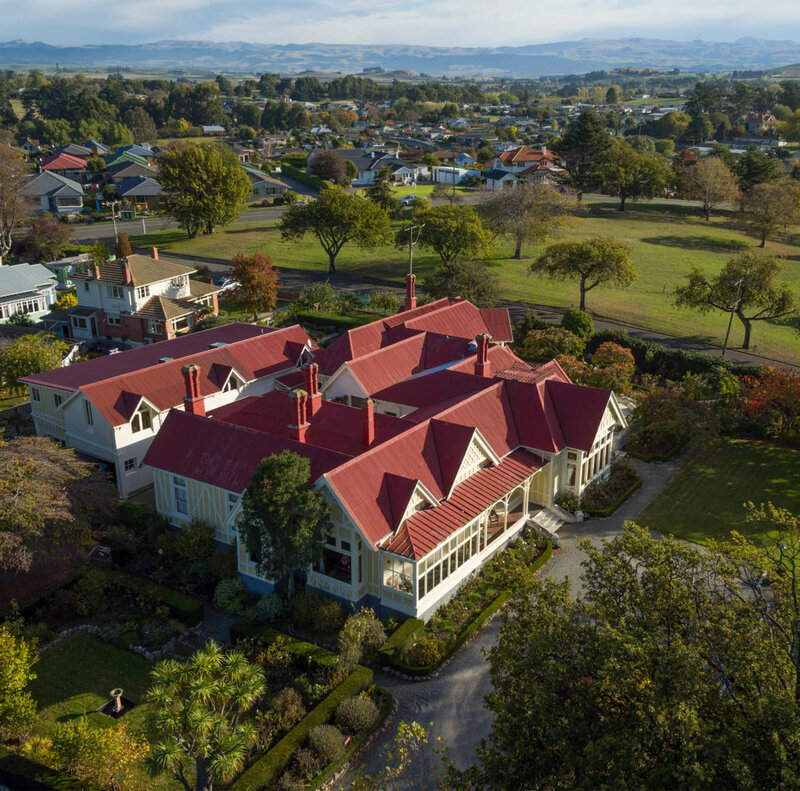 Welsh for ‘Top of the Hill’ Pen-y-bryn offers you commanding views over the beautiful countryside that surrounds Oamaru. But that is only one way this perfectly proportioned New Zealand lodge makes excellent use of its setting. You’ll find – to your delight – that the first class restaurant presents fine cuisine created from produce grown in the hotel’s gardens or carefully selected from nearby farms. Or caught by local fishermen. Then there are the tours of the region. Spend time at Pen-y-bryn on your luxury, tailor-made holiday to New Zealand and you’ll be able to explore historic Oamaru with a knowledgeable, enthusiastic guide. You’ll be able to cycle to the Waianakarua River, sample New Zealand’s most picturesque bike trail, take kayak expeditions and go on air safaris and wildlife adventures.